MURRAY, JOHN WILSON, provincial detective for Ontario; b. 25 June 1840 in Edinburgh, son of Daniel Duncan Murray, a sea captain, and Jeanette Wilson; d. 12 June 1906 in Toronto. The only source for John Wilson Murray’s early life is his memoirs, but as they contain many misrepresentations about later events little reliance should be placed on them other than for details of birth and family. Murray’s family moved to North America when he was a young boy, and he was educated there and in Scotland before enlisting in the United States Navy on 5 June 1857 and joining the Michigan at Chicago. He later claimed to have been commissioned in 1862 and to have served under Rear-Admiral David Glasgow Farragut in the Gulf of Mexico and on the Mississippi River, but both statements are probably fabrications, and if he did serve in the region he did not see the action he claimed to have been involved in. By March 1864 he was an acting gunner on the Michigan. This lightly armed steamer was based at Erie, Pa, and was assigned to Great Lakes patrols, recruiting, and supervision of the prison camp for Confederate officers on Johnson’s Island, opposite Sandusky, Ohio. During the period in which Murray served on the Michigan, two attempts were made by Confederate agents to capture the ship and release the officers. The memoirs ascribe to him a leading role in thwarting the second of these, in 1864, a role which provided him with his first experience and training in detective work. However, he likely had nothing to do with the case. Murray was honourably discharged from the navy on 31 Jan. 1866. He later claimed that at the end of that year he joined the Treasury Department as an agent investigating counterfeiting, although he most likely did not. It is certain that in 1868 he joined the police force of Erie as a detective. In May or June 1873, as a result of his acquaintance with William Lawrence Scott, an Erie businessman, Murray became the detective of the newly completed Canada Southern Railway. He probably had done some detective work on contract for Scott on American railways, and went to the CSR when the latter became its president. It was common for corporations, especially railways, to employ private security services at this time, often to deal with labour organizers but also to combat theft by employees and others. The CSR, which linked Buffalo, N.Y., and Detroit through Canada, found itself in intense competition with the Great Western Railway, and it is probable that Murray’s appointment was as much a response to the occasional excesses of commercial rivalry as it was to crime per se. He was based in St Thomas and was on more than one occasion successful in forestalling attempts to derail and/or rob CSR trains. Murray’s work for the CSR quickly earned him a reputation in Ontario government circles for being “well up in his business,” and as early as the fall of 1874 he was seconded to the government to track down a counterfeiting operation, a case in which he was apparently successful. In May 1875 he was offered a full-time, but temporary, appointment, as “government Detective Officer” at a salary of $1,500 per annum. 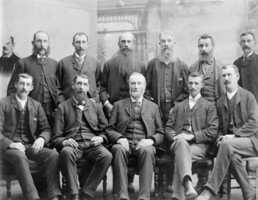 The position was made permanent shortly thereafter, and in 1877 it was slotted into the regular system of policing when Murray was deemed to be a constable of “every county and district in Ontario,” with the authority to act in any part of the province. In 1884 he moved to an office on King Street West, Toronto. Murray’s appointment was a response to weaknesses in the existing system of policing and prosecution. The major urban centres had introduced police forces from the 1830s, and the 1858 amendments to the Municipal Corporations Act had required towns of more than 15,000 people to establish their own constabularies. In rural areas law enforcement was the responsibility of local justices of the peace and county constables, who were remunerated by a system of fees. In all areas prosecution was the responsibility of county crown attorneys, who did no investigative work but prosecuted on the basis of whatever information the police could provide. Detectives were not a major feature of the system. Prior to Murray’s appointment the provincial government had employed private detectives on an ad hoc basis, and specialized “detectives” had been used for political purposes, for example in the observation and suppression of Fenian activity [see Gilbert McMicken*]. They were also used by the new dominion government for the guarding of public buildings and the investigation of counterfeiting operations. Some municipal forces and county constabularies employed them from the 1860s, but they were not systematically used. By the 1870s three principal weaknesses had been perceived in this system, especially in rural areas. First, in the words of Hugh McKinnon, chief of the Belleville police, the constable, who was “usually a poor man,” could afford only to “take a look about the immediate neighbourhood”; he went no further because the fees were “totally inadequate to reimburse him for either his time or necessary expenses.” Secondly, localism resulted in patronage, corruption, and jurisdictional disputes, which hampered the investigation of crimes involving prominent figures and of many major crimes. Thirdly, there was an increasing perception that rural constables were simply not capable of investigating anything but minor offences. Judge William Aird Ross of Carleton County, for example, underlined in 1882 the necessity in the rural parts of the county for “a competent officer . . . to take prompt, immediate proceedings for the detection and arrest of . . . guilty parties.” It was coming to be believed that experience and training were required for an effective system of detection. These were the principal concerns behind the decision to offer Murray a full-time post as a detective attached to the attorney general’s department. In the Executive Council meeting that preceded his appointment, Attorney General Oliver Mowat reported that the greater sophistication and organization of criminals required an experienced detective with “qualifications superior” to those of the detectives who worked on contract for the government. Murray was Ontario’s only full-time detective until 1884, when Joseph E. Rogers was appointed; these two were joined in 1887 by William Greer, who had taken cases on contract after Murray’s appointment. When the criminal investigation branch of the attorney general’s department was formed in 1897 the three men took the title of inspector, with Murray the chief inspector. Murray’s job, in his own words, was to “follow criminals to any place and run them down.” In fact, he generally seems not to have intervened in a case until his help was requested by local authorities. Such requests were evidently numerous, for his memoirs, government correspondence, and newspaper reports reveal his involvement in cases in a multitude of communities including Cornwall, Ottawa, Pickering, Toronto, Caledonia, Welland, and Manitoulin Island. He quickly became a well-known figure among those in the criminal justice system. He also became something of a celebrity; after a few years his presence was always noted in newspaper accounts of causes célèbres in which he was involved [see Reginald Birchall*], and he did not need to be introduced to readers. By the time Murray died he was the “most famous police official in Canada” and “thousands of people knew him by sight,” according to the front-page story in the Toronto Globe. In his obituary in the Toronto Daily Mail and Empire his name was said to have been “intimately associated with the prosecution of nearly every criminal case of importance in the province outside of the larger cities,” and this claim was probably not much of an exaggeration. He had died while still employed, on 12 June 1906, at home on Toronto’s Brunswick Avenue from a stroke suffered on the 9th. Surviving him were two daughters, the unmarried Mary Murray and a Mrs William Boyd of Sydney, N.S. Nothing is known of his wife except that she had predeceased him. He had been an active freemason and a Roman Catholic. Murray’s career marks something of a watershed in Canadian police history and is representative of the increasing importance of detection to policing generally. One might speculate that migration and urbanization had made reliance on community knowledge and self-reporting less plausible, but certainly his appointment filled a perceived gap in the policing and prosecution system, that of an officer who could work without regard to jurisdictional boundaries, local prejudices, and concern about fees. Perhaps this point was best made by T. Matchett, clerk of Victoria County, who noted in 1882 that the presence of a government detective following a “flagrant crime, difficult of detection,” had “a stimulating effect upon the local officers of the peace.” Murray’s effectiveness is demonstrated by the first case in which he was involved after taking up his full-time appointment, an inquiry into the murder of Ralph Findlay, a Lambton County farmer. While local constables scurried about seeking clues to the perpetrator, suspecting that it was a stranger surprised while stealing horses, the county attorney, Julius Poussett Bucke, demanded the assistance of the government detective. It was Murray, it appears, who wrung a confession from the dead man’s wife that she had assisted her lover in the deed. Although the appointment of a government detective represented a measure of central government intervention in crucial moments in the life of a rural community, that intervention was perhaps minimal and there was little overt resentment of it, perhaps because from the first Murray had been instructed to cooperate with local authorities and keep them informed. Murray’s appointment can additionally be seen as a compromise between leaving the existing system in place and replacing it with a central police force administered from Ottawa or Toronto. Ideally Murray’s career should also be situated in the context of the development of detective techniques, but his memoirs are not very helpful in this regard. There are glimpses of the use of photography, blood analyses, autopsies, and fingerprinting, but mostly he is seen employing such plainer methods as taking and measuring footprints, following the tracks of a cart, and putting out descriptions of suspects. Otherwise, his career reveals little about detection as a profession. Precisely because he operated alone, there is not much to be learned about the move to a more bureaucratic organization for policing work – record keeping, routinized investigative methods, and the like. Murray is best known to posterity for his memoirs, which were written by, or at least with, the journalist Victor Speer. Another inspiration and source may have been Murray’s memorandum of 25 cases recounted to Premier George William Ross* in the early 20th century. The memoirs are partly in Speer’s voice, partly in Murray’s, and thus bear a distinct resemblance to the fictional tales of, say, Sir Arthur Conan Doyle. An edition in 1977 contains only about half the stories in the original volume, but one in 1980 prints most of the rest; these modern versions omit those which contain Murray’s racial stereotyping. Although most of his cases were mundane, involving standard larceny, robbery, and burglary, the memoirs concentrate on his involvement in some 19 cases of murder, as well as cases of counterfeiting operations, arsons, and three cases involving what he called “dynamitards,” politically motivated terrorists. These are sensational cases, serious crimes involving desperate and devious men whose apprehension requires an equal mixture of energy, intelligence, and tenacity. They are high dramas, with Murray in a leading role. Judging by a few cases of which there are other accounts, this part of the memoirs is also betrayed by Murray’s desire to exaggerate the drama of certain cases and his own part in events. Yet here it is exaggeration only, for the main features of the story are usually correct. Murray’s Memoirs of a great detective: incidents in the life of John Wilson Murray was first published in London in 1904. Victor Speer’s involvement is not mentioned in this version, but he is identified (as compiler and editor respectively) in the Toronto and New York editions of the following year. Selections from the memoirs appear in the two modern editions, Memoirs of a great Canadian detective: incidents in the life of John Wilson Murray (Don Mills [Toronto], 1977) and Further adventures of the great detective: incidents in the life of John Wilson Murray (Don Mills, 1980). AO, RG 4-26; RG 22, ser.390, box 206. Advocate and East Lambton Reflector (Watford, Ont. ), 21 April 1876. Daily Mail and Empire, 13 June 1906. Evening Telegram (Toronto), 13 June 1906. Globe, 13 June 1906. News (Toronto), 13 June 1906. Sarnia Observer and Lambton Advertiser (Sarnia, Ont. ), 28 May, 4 June 1875. Telegraph (Welland, Ont. ), 29 Jan. 1886. Toronto Daily Star, 13 June 1906. Weekly Dispatch and County of Elgin General Advertiser (St Thomas, Ont. ), 26 Nov. 1874. Complete general navy register of the United States of America from 1776 to 1887 . . . , comp. 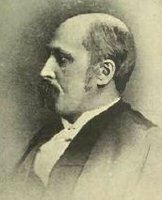 T. H. S. Hamersly (New York, 1888). Loyall Farragut, The life of David Glasgow Farragut, first admiral of the United States Navy, embodying his journal and letters; by his son (New York, 1879). Marjorie Freeman Campbell, A century of crime: the development of crime detection methods in Canada (Toronto, 1970). D. D. Higley, O.P.P. : the history of the Ontario Provincial Police Force (Toronto, 1984). J. N. Jackson and John Burtniak, Railways in the Niagara peninsula: their development, progress and community significance (Belleville, Ont., 1978). Rhodri Jeffreys-Jones, American espionage: from Secret Service to CIA (New York and London, 1977). William Kelly and Nora [Hickson] Kelly, Policing in Canada (Toronto, 1976). Ont., Legislature, Sessional papers, 1869, no.2; 1870–71, no.3; 1875–76, no.2; 1884, no.91. Paul Romney, Mr Attorney: the attorney general for Ontario in court, cabinet and legislature, 1791–1899 (Toronto, 1986). F. J. Shepard, “The Johnson’s Island plot . . . ,” Buffalo Hist. Soc., Pub. (Buffalo, N.Y.), 9 (1906): 1–51. R. D. Tennant, Canada Southern country (Erin, Ont., 1991). U.S., Naval War Records Office, Official records of the Union and Confederate navies in the war of the rebellion (30 vols. in 2 ser., Washington, 1894–1922), with General index, comp. D. W. Knox (Washington, 1927). W. F. Zornow, “Confederate raiders on Lake Erie: their propaganda value in 1864,” and “John Wilson Murray and the Johnson’s Island plot,” Inland Seas (Cleveland, Ohio), 5 (1949): 42–47, 101–5, and 6 (1950): 249–57, respectively. Jim Phillips and Joel Fortune, “MURRAY, JOHN WILSON,” in Dictionary of Canadian Biography, vol. 13, University of Toronto/Université Laval, 2003–, accessed April 25, 2019, http://www.biographi.ca/en/bio/murray_john_wilson_13E.html.